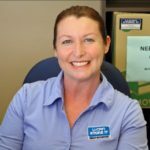 You are here: Home » Self Storage » Remember Jacquie? Jacquie and Allistair have some amazing products now available on line. If you or any of your friends or family have a boat, pontoon or are even thinking about it – check out this site. Australian Jetty Fenders are a long standing client of U Can Store It and we wish them well as they expand their business. Great job guys!